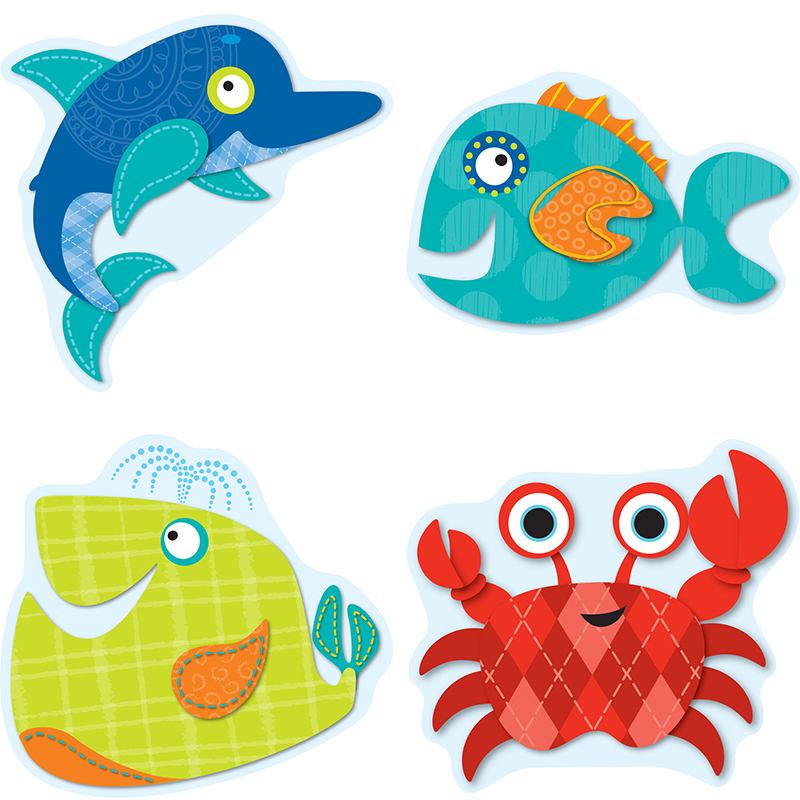 Create a splash in your classroom with these Seaside Splash assorted cut outs featuring snappy sea life characters complete with funky textures and bold colors! This 39 piece pack includes an assortment of bold colors and adorable characters like whales, dolphins, crabs, squid, and fish measuring 6" x 5.5"printed on card stock. These assorted cut out shapes are fun additions to any classroom setting and can be used for more than just decoration. Great for sorting activities, calendar activities, game pieces, name tags, reward cards, and much more. Perfect to brighten up cubbies, walls and bulletin boards too. Look for coordinating products in this character theme and a full assortment of coordinating color pallet designs to create an exciting cohesive classroom theme!